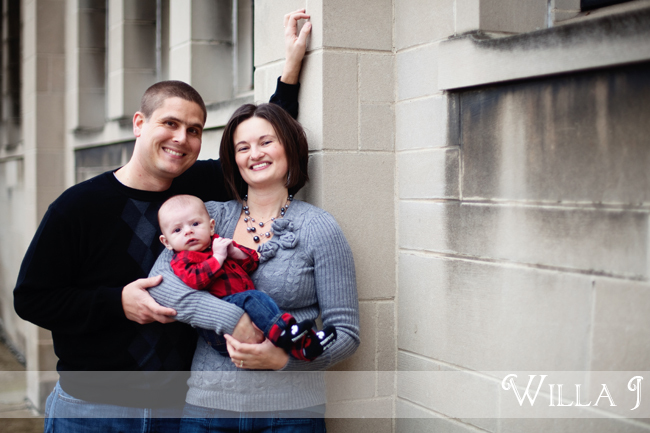 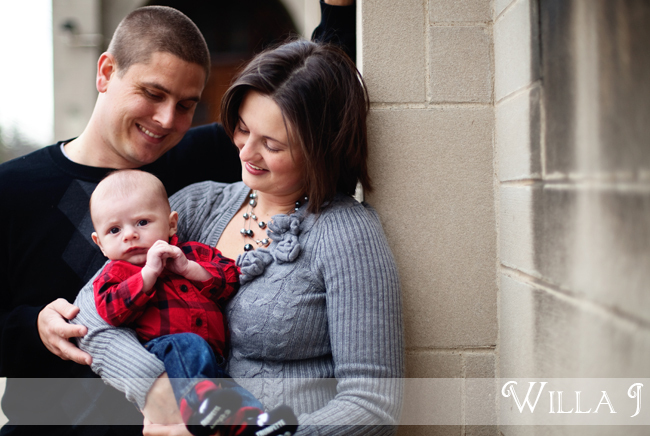 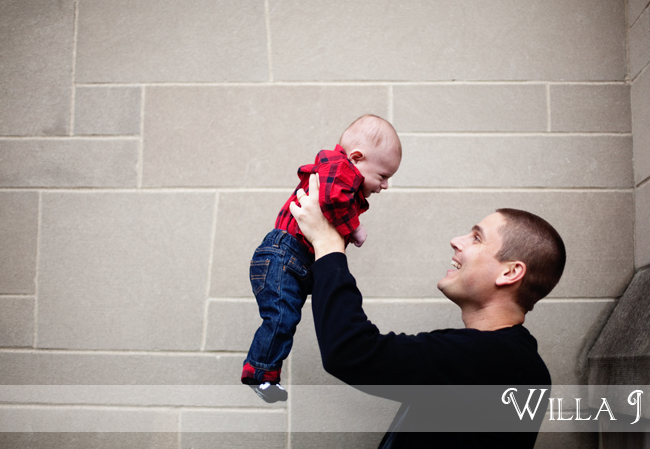 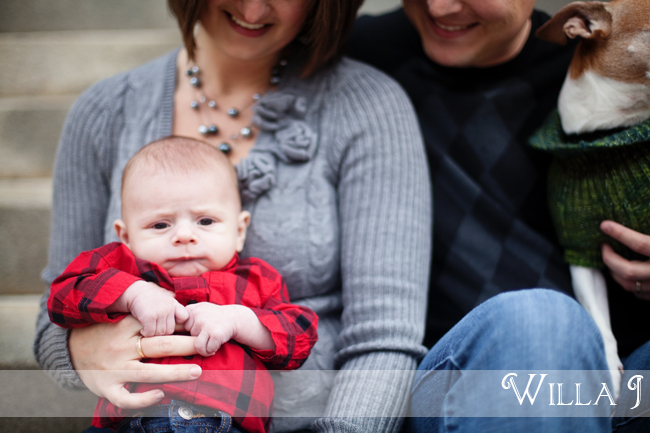 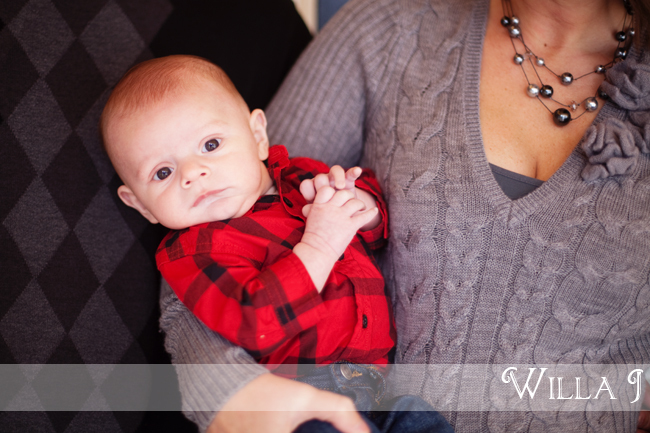 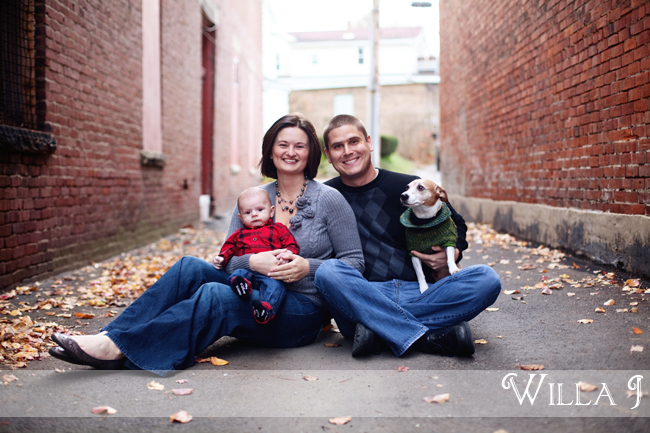 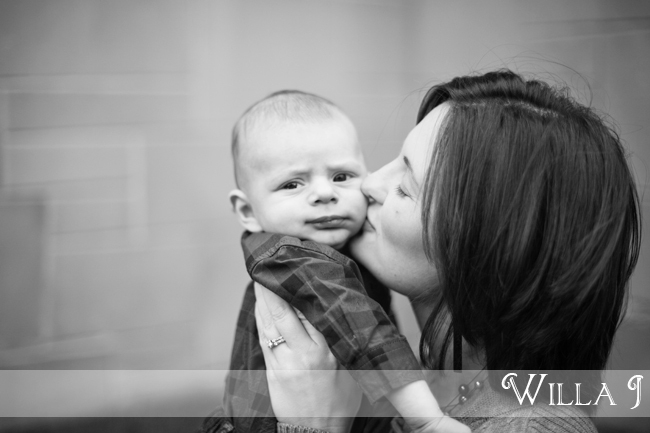 I was thrilled to meet and photograph this beautiful, growing family over the weekend. 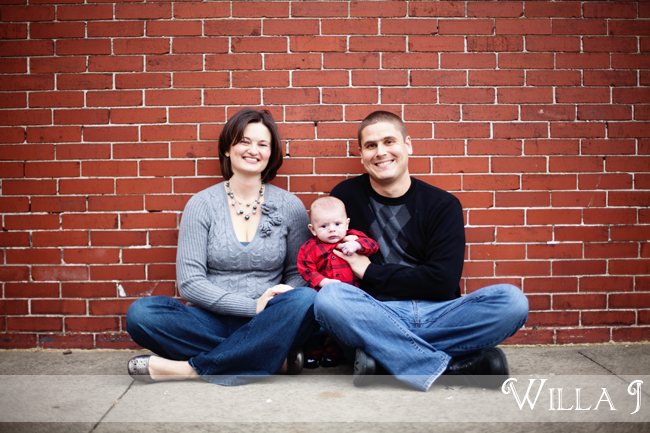 We met in downtown Grove City, which is a surprisingly great location for pictures--especially this time of year when the foliage elsewhere is not so photogenic. 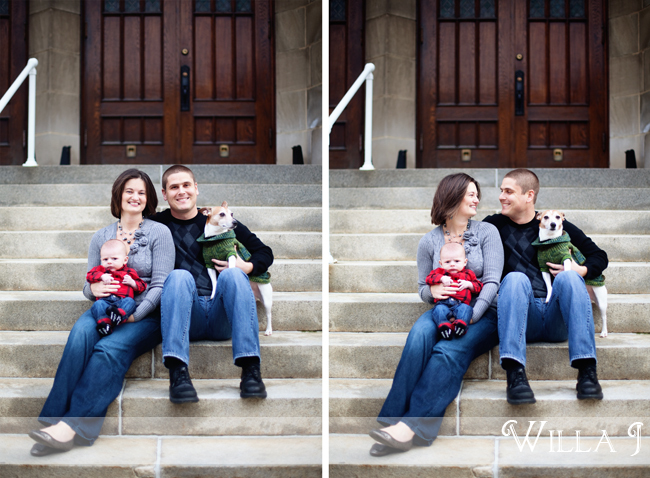 It was pretty chilly during our shoot, but these four brought their own warmth with smiles and love. 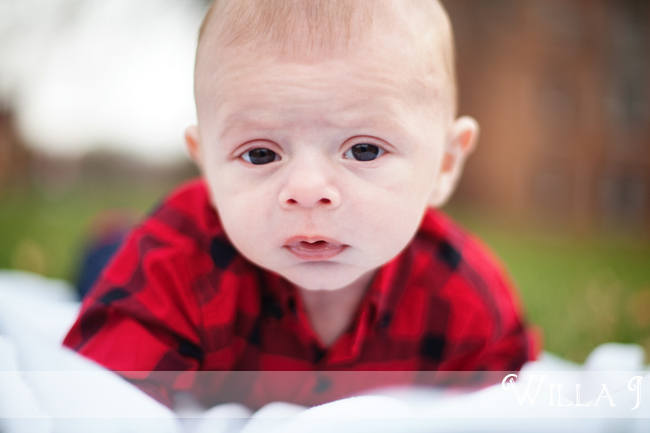 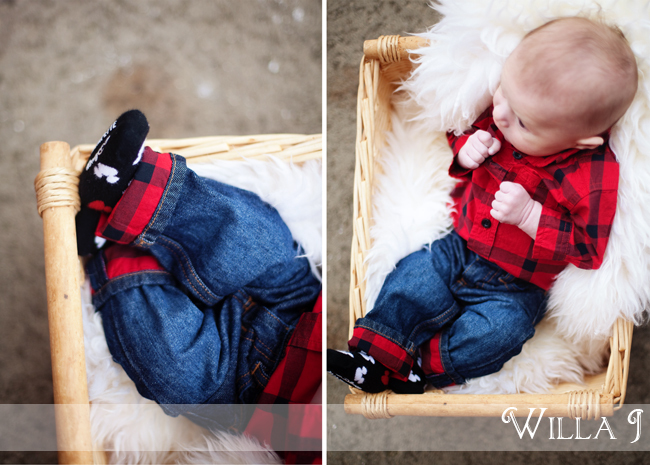 Our session ended up being more like a mini-session due to the cold November winds, but I think we got plenty of sweet images. 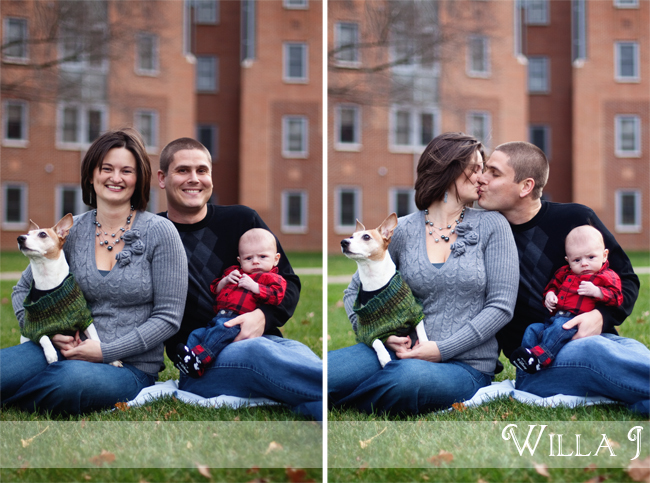 They'll work beautifully as Christmas shots with a baby in red and a dog in green--nice coordinating, guys! 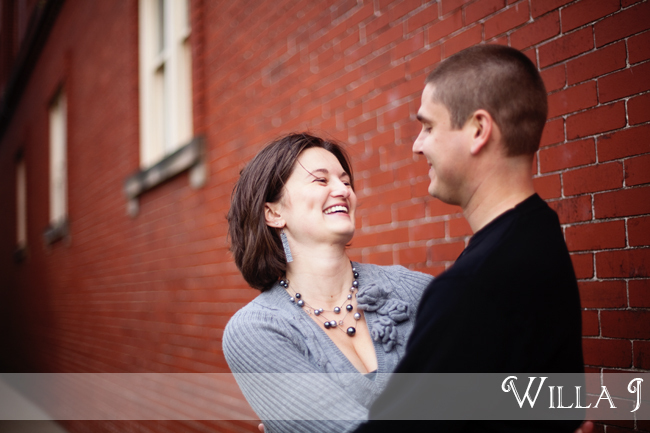 Thank you, Amanda and Jeremy--it was such a pleasure!